If you are interested in boating, you’ve probably been to an occasional boat show. Although most boaters North of Orlando have not been to a boat show South Florida style, South Florida boat shows know how to put them on incorporating entertainment and everything a boat lover would need or want to see. Whether the Miami International Boat Show (MIBS), the Ft. Lauderdale International Boat Show (FLIBS), or the Palm Beach International Boat Show (PBIBS), you must add one of these to your boat show bucket list. Informa/Show Management and the National Marine Manufacture Association (NMMA) make these boat shows more of a social event. These boat shows include mega yachts, sportfish yachts, boats of all types including pontoons and wakeboard plus boating, fishing, paddleboard, kayak, scuba accessories, and clothing. The Miami International Boat Show is like the super bowl of boat shows. If you can arrange it, we would suggest spending at least two days enjoying any of these shows. FLIBS & PBIBS are sure giving MIBS a run for its money. These shows also feature high end automobiles and water toys you would expect to see on mega yachts, such as personal submarines. And to top it off, there are entertainment and food vendors offering delicious flavors for any appetite. The Ft. Lauderdale International Boat Show happens to start at the end of this month on October 31st and runs through November 4th. This show is in 2 locations with buses and water taxis to transport you to each venue which is included in the ticket price. If you would like to attend this show, look at it as a social event, take your time and enjoy the festivities. You should schedule 2 days to see everything and you will not be disappointed. 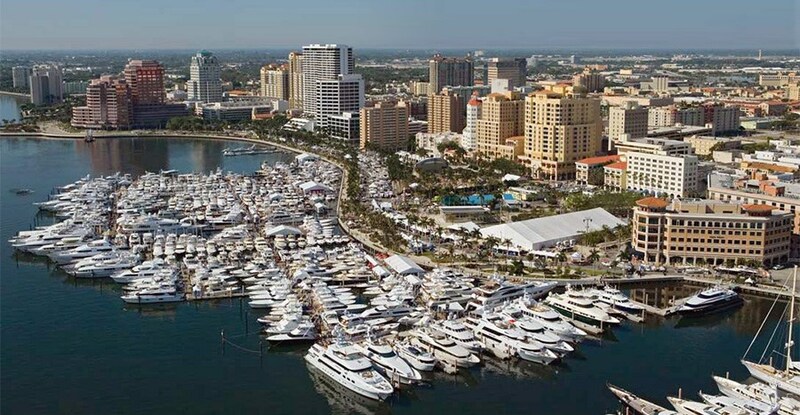 For more information on FLIBS go to: www.showmanagement.com Stop by and see us at the Sailfish Pavilion, Booth# 4155. Hope to see you there. We are excited to announce that Manta Racks will be showing our product line at the 2018 Palm Beach International Boat Show (@pbboatshow) March 22nd – 25th. Manta Racks’ booth number is 239. We are excited to inform you that Manta Racks S2 system will be displayed at the Miami International Boat Show on Yellowfin Yachts https://yellowfin.com/ and Intrepid Powerboats https://www.intrepidpowerboats.com/. Make sure you check out the custom laser logos on these displayed rack systems. This amazing boat show starts February 15th and goes through the 19th. We hope to see you at the Miami International Boat Show. Kids 15 and under, accompanied by an adult, are FREE on Thursday and Friday, March 23-24, 2017 ONLY. Must bring voucher to the box office for the kids ticket.